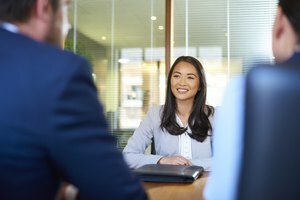 What Are the Top Interview Questions? College interviews are daunting for most high school students. It is tough to know what to expect going in. Many students try to figure out what the college interviewer wants to hear and prepare to say those things. However, the truth is that a college interview is just as much a tool for the student to decide if a university feels like the right fit. The important thing to keep in mind during a college interview is to be yourself. You are not trying to convince a university that you are someone else. The university education that will benefit you the most is the one that is the best fit for your needs, interests, skills and personal academic desires. By answering questions honestly, you can be sure that the universities that accept you are the right fit for you, too. It can be difficult to anticipate what a college interview question list looks like. Some students even ask, "What is an admissions interview?" Every university and college has different questions, and the questions likely vary between interviewers as well. One thing that everyone who conducts college interviews is trying to assess is if the student is the right fit for the school. Given the character of a school, that might mean any number of things. For schools with a strong academic focus that expect students to have high GPAs and sophisticated intellects, the questions may be around what you are hoping for your university years to look like. They may ask questions about the subjects you liked in high school and why you enjoyed them. They will also ask you about the subjects you disliked and why you hated them. The interviewer will also likely ask you what you are hoping to study, what books you read, what writers and thinkers you enjoy and where you see yourself as part of the university community. All of these questions will help the interviewer understand more about you. Schools with more of an art focus may have different questions. These colleges and universities are mostly interested in bringing out the creativity in their students, and giving them the freedom to use their creativity in whichever means they deem appropriate. Schools like this are interested in students who are self-motivated, driven and who have a unique vision. They are looking for students who want to be taught how to think and not what to think. Schools with a focus on athletics or social activities or a Greek system may ask questions that are focused on the kind of community member you are. These are all designed for the same purpose, which is to assess your fit for their school community. What kind of student is most successful at this school? What type of student does not do well here? What is the most important thing your admissions committee looks for in prospective students? For students interested in pursuing a particular path, are there subject requirements? What internship opportunities do students here tend to get? How does this school prepare students for life after college? It is also a good idea to ask questions about the specific program you are hoping to gain admission to. Ask about retention rates. How many students remain at the school after their first year? Ask about the classes that are the most popular and about any study abroad programs. Above all, make sure you are asking the kinds of questions that help you understand what life is like for the majority of students at this school. Do Colleges Interview All Applicants? Students often wonder, "Do colleges interview all applicants?" This is a fair question. Some colleges require that all applicants go through an interview before admission is granted. Others handpick the students that they would like to interview while some make the interview process optional for prospective students. This creates a situation that allows very motivated students to demonstrate their commitment to a school by making an interview appointment. Students who are sure of their admission based solely on their transcripts and applications may choose to forego their interview altogether. Because college interview questions are designed to assess a fit between student and school that cannot simply be gleaned from the student's transcript or essays, it is recommended that you interview with a school whenever possible, particularly if it's one you really want to be a part of. A lot of schools fall short of making interviews mandatory because for many students it is impossible to visit the school. Many schools, especially larger ones, will have regional interviewers so that you can conduct a college interview in the city where you live without having to travel to the location of the school. If you have the opportunity to visit the school during your application process it may be a good idea to check and see if there are interview options available while you're there which will put you at an advantage later on. How Should I Prepare for a College Interview? You may ask, "How should I prepare for a college interview?" A good way to prepare for your interview is to write down, either as a list or in a narrative way, the reasons why you think you would be a good fit for that particular school. Are you incredibly creative? Are you a math and science genius? Are you an A-list athlete? Are you a star communicator? Write down your strengths and how they would contribute to the overall school community, and then write down the things you have done in the past that prove this. Any accomplishments of yours from high school, summer jobs, personal projects or anything else should be mentioned in this interview. The interview is designed to give the school the opportunity to get to know you beyond your transcript. This interview is about giving the school a look at you as an individual, so you can leave your GPA behind for a moment and focus on your individual accomplishments, and find natural ways to integrate them into a conversation. Make sure you highlight your accomplishments without boasting, and make sure the interviewer knows that you are a person with a wide variety of interests and passions beyond success in academic classes. In addition, an intelligent student will prepare for his or her college interview by thinking about what she or he wants to know about college and writing those questions down as well. 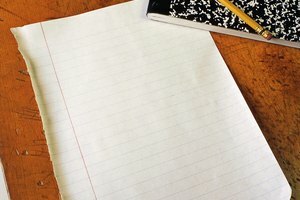 You can keep a list of college interview questions to ask in the weeks running up to your interview. This will help you to keep track of questions as they arise and make it more likely that you'll have questions to ask the interviewer that you actually want to know the answer to versus questions that you are just asking so that you can get credit for asking questions. How Long Does A College Interview Last? 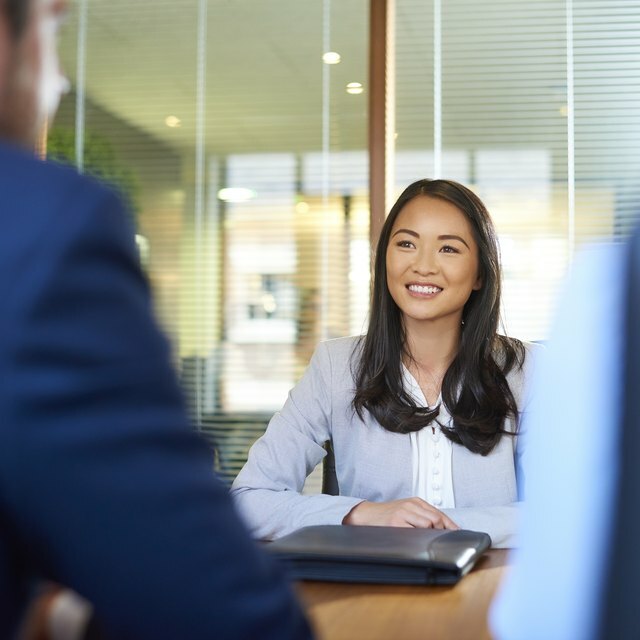 A college interview generally takes anywhere from 30 minutes to over an hour, depending on the course of the conversation, the number of questions and the camaraderie between the interviewee and the interviewer. If an interview is going well it generally turns into a conversation, wherein the candidate and the interviewer delve into a number of relevant topics and the conversation flows easily and honestly without artifice. If you find yourself in a college interview where this is going on, and you have been talking for a long time without running out of things to say, that's a great sign. On the other hand, if you have trouble speaking to your interviewer and the interaction is less than sparkling, that does not necessarily mean that the interview was a failure. College interviewers tend to be looking for students who are engaged interested and able to respond to their questions with more than one-word answers. Whenever possible, if you are faced with a question you don't have a great answer to, try to lead the conversation to an area where you are more comfortable that is still relevant to the question at hand. How Should I Dress for A College Interview? There are many answers to this question. but the most important thing to keep in mind is that this is a professional setting. You do not have to wear a suit but wear what is known as "business casual" or "business attire." The purpose of dressing in this way is to convey a sense of respect for the school and for the position you are in as a candidate for admission. There are some students who would choose to wear what they want to wear to express their individuality and personality and that is a choice that is also available to you. If conforming to the standards of dress of the professional class doesn't appeal to you, by all means, you should take this opportunity to dress in a way that reflects your authenticity if that's what you are hoping the school understands. Dressing for anything is very personal and many people do not like the idea of restricting their self-expression to gain admission to any sort of institution or organization. These feelings are perfectly valid, but it is a good idea to remember that some institutions, particular old academic ones, take questions of decorum, presentation and propriety very seriously. If you don't have a serious personal objection to wearing business casual attire, that is the general default style for a college interview. Dressing with respect for the institution and the gravity of the interview shows your interviewer that you take the interview seriously and that you take your career as a student seriously, too. Whatever clothing you have that feels the most professional is a good choice. Avoid jeans, sneakers, sweatshirts, sweatpants or any attire that gives an excessively casual impression. First impressions say a lot, and if this school is your first choice, you want to be sure that your first impression is a good one. The more clearly you communicate that you take this opportunity seriously, the more likely the interviewer is to view you as a candidate appropriate for the college or university. What Is Appropriate Dress for an Internship Interview? Friedman, Ashley. "About College Interview Questions." Synonym, https://classroom.synonym.com/about-college-interview-questions-13714945.html. 27 September 2018.